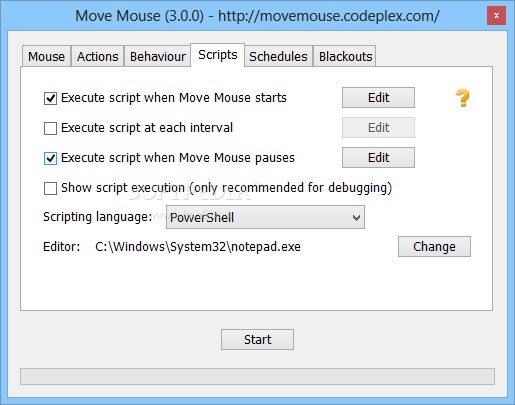 „Move Mouse“- programėlė skirta automatiškai nuvesti pelytės rodyklę į Jūsų nurodytą ekrano vietą (koordinates) atitinkamu laiku. Taip pat ji gali imituoti kairiojo pelytės mygtuko paspaudimą paskirtu laiko intervalu. 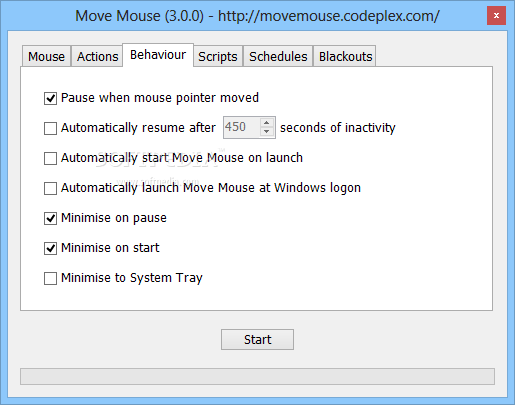 Move Mouse is a lightweight application created to help you simulate mouse activity and more. It’s one of those applications that you can use to take care of various miscellaneous tasks when you are away from the computer. 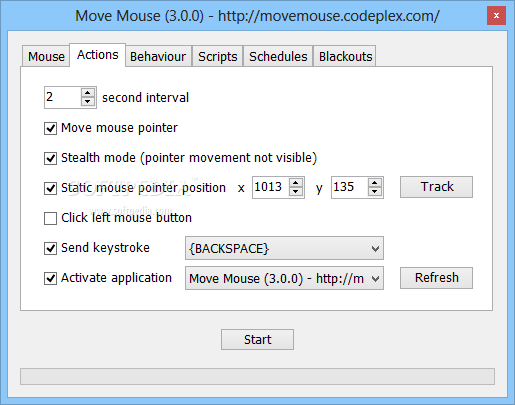 It can automatically move the mouse cursor, send a keystroke and click the left mouse button. Also, if the task at hand requires it to, it can do all three at the same time. You can’t really point your finger and say that Move Mouse is created for that specific purpose or that. I’s usability depends on your creativity. With it you are able to run an application of your choosing, place the pointer at a coordinate given position on your screen, send a keystroke and operate a blackout schedule. You can choose to run these commands in singles or combine them. Either the case, they are all executed repetitively at a regular interval that you set. 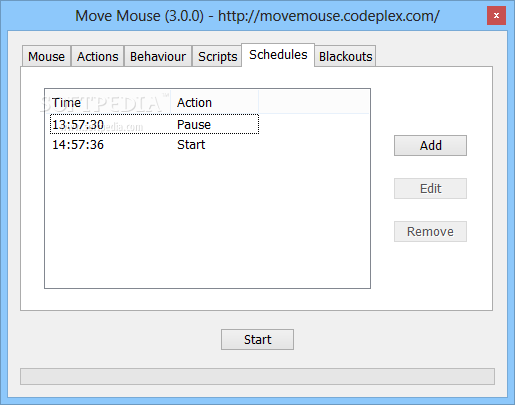 But it is also possible to run Move Mouse between specific hours of the day. Moreover, if the application becomes idle, you can select to have it resume its activity.